In a move it says will "solidify" its position as a powder coating powerhouse, specialty chemicals company Evonik Industries plans to build a new production line for special polyamide 12 powder (PA12) in Marl, Germany, the company announced Wednesday (Feb. 10). Representing an investment in the mid double-digit million-Euro range, the new facility will enable the Essen-based company to increase its existing annual capacity for PA12 powders by 50 percent to help meet growing customer demand. “The planned investment in the new polyamide 12 powder facility represents the next step in our growth strategy,” said Chief Operating Officer Dr. Ralph Sven Kaufmann. Evonik's plans to build a new production line for special polyamide 12 powder (PA12) will increase its existing annual capacity for PA12 powders by 50 percent to help meet growing customer demand. He added that the expansion is expected to solidify Evonik’s position as a provider of PA12-based high-performance polymers and take advantage of the growth potential of new application areas. The new plant is scheduled to become operational in late 2017. The polyamide 12 powders, which are sold under the brand name VESTOSINT, are a product of Evonik’s Resource Efficiency division. The powders are used to coat metals for household appliances, such as dishwasher baskets; in automotive and medical technology production; and as matting and structural agents in coatings. VESTOSINT fine powders are added to paints for the coil-coating process, packaging films as well as wood paints, according to product literature. The company also expects to see an increased demand in “tool-free production” applications, especially in the 3D printing industry. 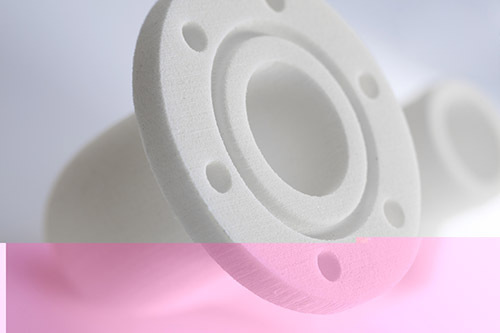 Their mechanical properties and chemical resistance, as well as the high melting point of finished products, make PA12 powders particularly suitable for use in powder-based 3D printing processes, according to the company. The PA12 powders are used to coat metals for household appliances, such as dishwasher baskets; in automotive and medical technology production; and as matting and structural agents in coatings. Fiber composite materials represent another growth field, the company adds. PA12 powders are an ideal matrix for thermoplastic composites made of fiberglass, carbon fibers, and aramid or steel fibers. Applications can be found in the automotive and oil drilling industry, the sports sector and in orthopedics, it adds. VESTOSINT is a modified PA12 powder that is manufactured at the Marl site from a polyamide granulate using a proprietary Evonik process. 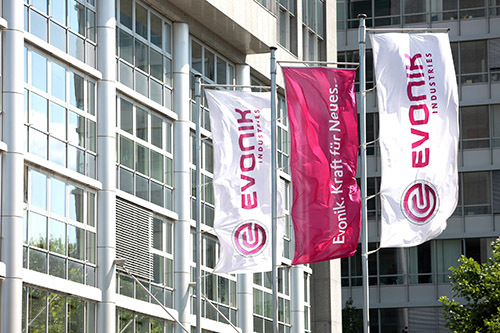 Evonik, a creative industrial group from Germany, is active in more than 100 countries around the world. In fiscal 2014 more than 33,000 employees generated sales of around €12.9 billion (US$14.56 billion) and an operating profit (adjusted EBITDA) of about €1.9 billion (US$2.14 billion). The Resource Efficiency segment is led by Evonik Resource Efficiency GmbH and supplies high-performance materials for environmentally friendly and energy-efficient systems to the automotive, paints & coatings, adhesives, construction, and many other industries. This segment employed about 7,800 employees and generated sales of around €4 billion (US$4.51 billion) in 2014.